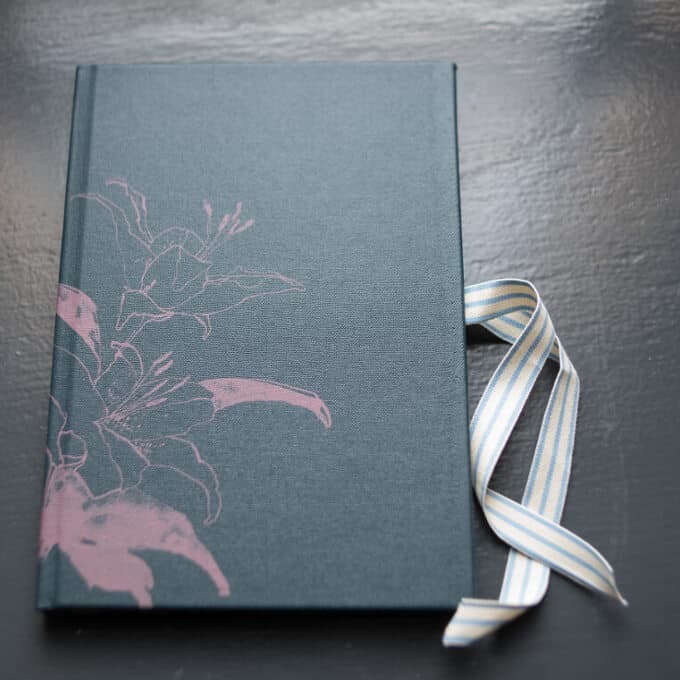 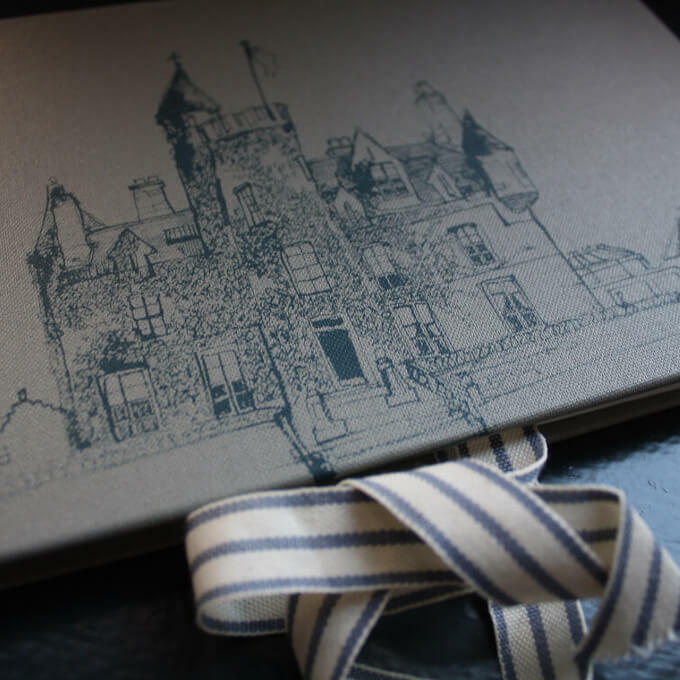 This journal has been handbound by bookbinder and illustrator Kelly Stewart, using unique screen-printed book cloth featuring illustrations of lilies, honeysuckle, roses and Carlowrie castle. 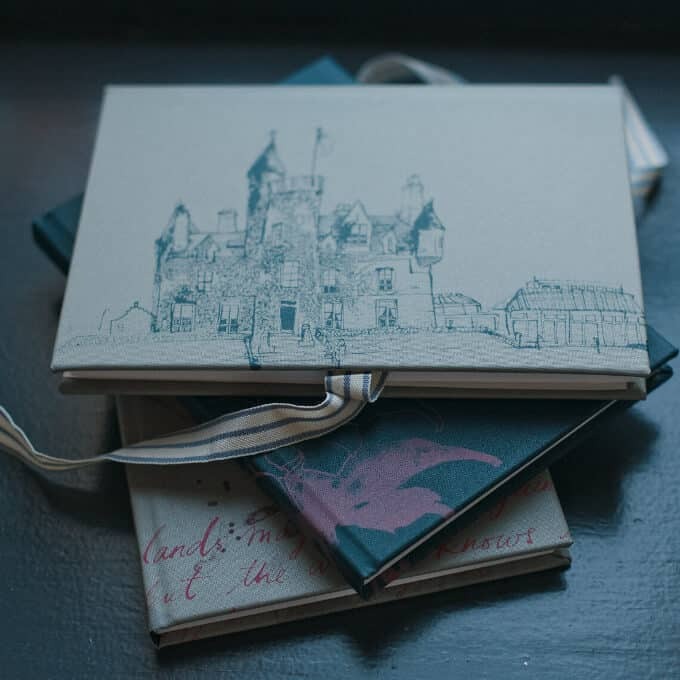 These unique illustrations were drawn from descriptions of the flora and grounds of Carlowrie that Isobel included in a poem dating back to her childhood. 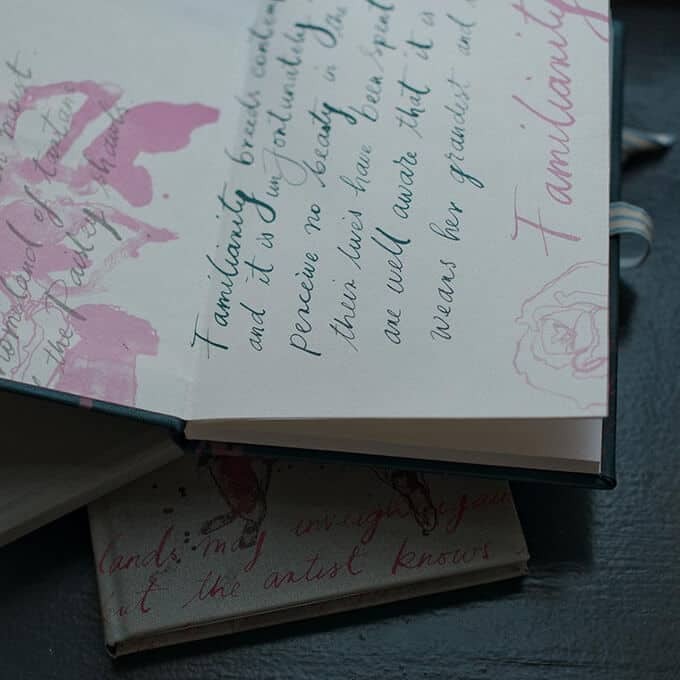 The poem was published in the Scribbler, a magazine she and her siblings created into their 20s. 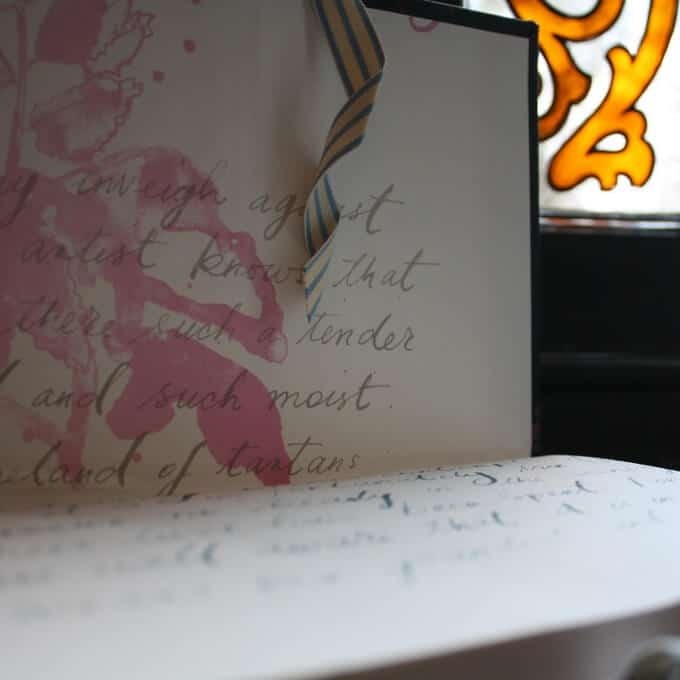 Using a nib and ink Kelly enhanced her drawings with snippets of Isobel’s text and poetry to complete the design. 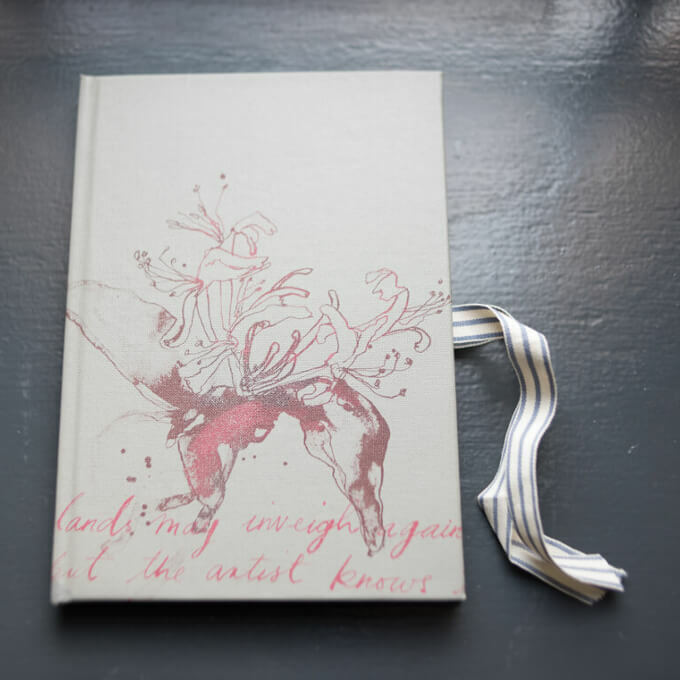 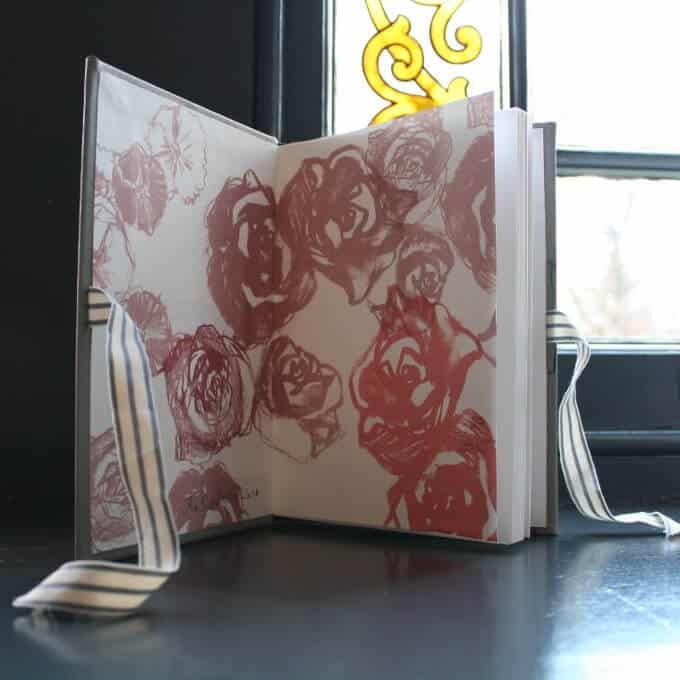 Materials: Hand silk-screen printed onto book cloth binding with linen ribbon ties.